The natural gas disaster that ripped through three Merrimack Valley communities in September, and the pipeline over-pressurization emergency in Woburn weeks later, have focused attention on the state's aging gas delivery system. It is one of the oldest in the nation. The Massachusetts Department of Public Utilities (DPU) has ordered an independent examination of the state's entire gas distribution infrastructure. Keeping the pipelines safely operating is the job of utilities and union workers who detect and repair leaks. But since this summer, there's been additional stress on the system: National Grid, the state's largest utility, has locked out more than 1,000 union gas workers over a contract dispute. Now, we are entering the season when the 21,000 miles of gas pipelines that crisscross Massachusetts are most vulnerable to leaks that can lead to disaster. 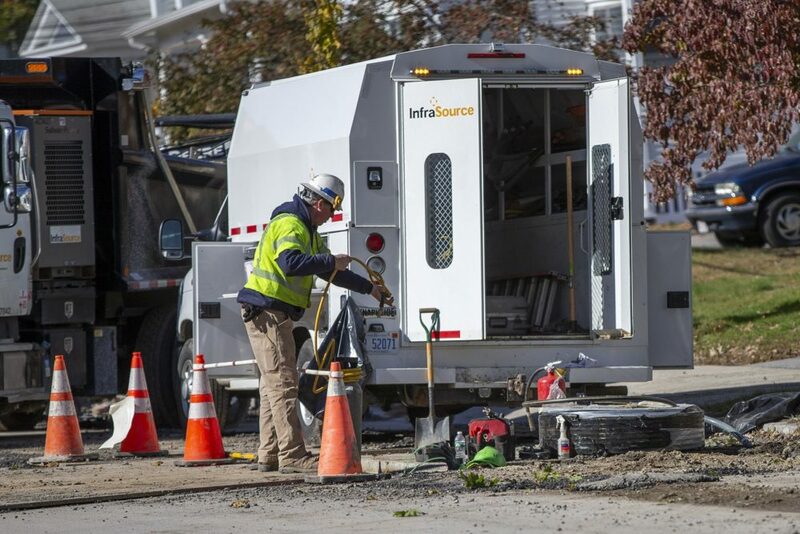 "The potential for these types of situations is much greater in the wintertime, when there's a frost cap, when all the gas is on," says John Buonopane, who has worked for Massachusetts gas utilities for more than three decades. He's also president of United Steelworkers Local 12012, one of three locals whose workers have been locked out by National Grid. The company replaced them with managers and contract workers. All are certified to work on gas pipes, but Buonopane says few had recent or any experience working with active gas pipelines. Until the lockout, contract workers were only replacing old pipes with new. National Grid says its policies and safety procedures exceed federal and state standards, but after the Woburn over-pressure problem in October, DPU imposed a moratorium on new work pending a review of the company's safety practices. "You're talking about situations that are literally sometimes life threatening," Buonopane says, "so you have to think on your feet. ... I don't think a lot of people know the things we face in the field." We walk less than half a block from the basement office that serves as a makeshift meeting place for locked-out National Grid union workers. At the corner of Broadway and Silver Street in Malden is the first house Buonopane evacuated as a gas technician almost 30 years ago. A neighbor smelled gas. Buonopane got the emergency call, rushed to the scene, and knocked on the door. No answer. "One of the things you're taught when you don't get an answer at the door," he says, "[is] you insert your leak detection probe into the mail slot. So I did that and I pumped it and I pumped it and I saw the needle start to go up." And up and up. Buonopane began banging on the door. He heard an elderly woman say, "Hold on." "She opened the door and [I got] a strong smell of gas right in the face," he says. "I grabbed her coat, picked her up, brought her outside. It was very cold. I put her in my van ... ran back in the house, started opening all the windows. That was the first experience I ever had like that." It was not his last. Massachusetts winters are tough on gas pipes. Frozen ground can crack brittle cast iron and snap bare steel, creating leaks that can range from small to deadly, and be difficult to detect. Frost caps buried in the soil can spread leaking gas far and wide. Buonopane seems to recall every gas emergency he's ever responded to as we drive in his service area, stopping frequently at places in Malden, Melrose and Stoneham. Most of the calls are for minor leaks. Natural gas can only explode when it is 5 to 15 percent of the air mixture. Too low, it won't ignite. Too much and the mixture is too rich. In front of a home in Stoneham that looks slightly newer than neighboring houses, Buonopane explains the reason for the difference. "This house was completely demolished by a gas explosion," he says. "I think it was a broken gas main. It was cold, it was in the wintertime, and the gas migrated into the house and anything can ignite — it could be a light switch, it could be the doorbell. One of the things they tell us when you're responding to a gas odor: You don't ring the doorbell." Most of the time, gas workers — like the pipes they work on — are out of sight and out of mind, invisible. But Buonopane says they're the first and last lines of defense against leaks. He credits hands-on experience and says with frustration, "Anyone can pass a certification test." One of his favorite phrases when describing the skills of gas workers is "institutional knowledge." "That's what the experienced workforce imparts from one generation of gas workers to the next," he says. "You gotta learn by what happened or you're doomed to repeat it. It's one thing learning from a book or in a classroom. It's completely different learning in the field." Buonopane grew up in East Boston. He went to Bunker Hill Community College to become an electrician but he dropped out after a semester. His uncle gave him some advice: "'John, if you're not going to college, and you're not going to work a trade, you really have to work for a utility. You'll learn something there. They have a good pension, they have good benefits and decent pay.' "
That's what Buonopane wound up doing. He doesn't regret his decision. "I gotta believe most people I work with got similar circumstances." Buonopane's phone rings. It's Rocky Leo, a union gas worker with 32 years of experience. He's calling from East Boston, where he has been watching National Grid replacement workers removing soil from a job site. "If that soil that was removed is contaminated, that's a major no-no," Leo says. Locked-out union members take turns monitoring National Grid job sites, video-recording alleged safety violations. Locked-out workers presented a compilation of over 100 videos to the DPU, which is investigating 29 instances that may have violated federal gas pipeline safety standards. Leo tells a story that has become gas worker lore. It was about a dozen years ago, before National Grid bought KeySpan to become the largest gas utility in New England. Today it serves 700,000 customers in 85 Massachusetts communities. "The main was down 11 feet deep, there was 60 pounds blowing," recalls Leo. It was in Maplewood Square in Malden. There was a break in a high-pressure gas main. "I had to get into a hole that was 3 foot in diameter, and there was a crew above watching, but at that depth, they had no way of pulling me out of the hole if it ignited. And a priest who saw it on TV came by, looked into the hole, and said a prayer for me. It was very kind of him, but I've been kidded about it ever since." At the time, Leo says, the company did not have any safety harnesses or tripods to lift him from the hole. "We actually had to wrap a street chain around me, a chain that we lift steel plates with," he recalls. In conversations with senior National Grid officials, safety is stressed. "Why, in heaven's name, would I put anyone on a job site that's not safe? What do I have to gain from that?" asks Marcy Reed, the utility's president. She says the company now has state-of-the art safety technology. "In some respects things are better," acknowledges Buonopane. "There's certain types of protection, like the fire suit, breathing apparatus and tripods to remove workers from holes." Buonopane's statement is a small but meaningful sign in a dispute where finding common ground has been nearly impossible. Another point of agreement: In the aftermath of the Columbia Gas Merrimack Valley disaster, both union and utility agree the state DPU should require all gas companies to have the same work safety procedures. "All of the companies kind of do things a little differently, and I think that's part of the problem in Massachusetts, that the DPU has allowed these companies to operate differently," Buonopane says. "In my opinion there should be one standard of operation for everybody, like a code. There are different regulations that they have to follow, but each company develops their own manual on how to follow those regulations. And I think that's the problem." Then, recalling the Merrimack Valley disaster — where a person died, 131 buildings were destroyed, and 21 people, including two firemen, were taken to the hospital — he says, "National Grid shouldn't have to learn from Columbia's mistake." On Tuesday the Baker administration agreed with an urgent recommendation from federal regulators to change the state's policy of exempting gas engineers from needing to have licenses. The bill would require all gas work that could "pose a material risk to public safety" be approved by a certified professional engineer. The September gas explosions are a powerful reminder that while pipelines are largely out of sight and out of mind, natural gas is a product that demands respect. As we enter the winter high season, National Grid is still dependent on replacement gas workers. With little time off and under intense scrutiny, the replacements are stressed. And locked-out union workers are strained under the cost of health insurance and acutely aware their unemployment checks run out in January. 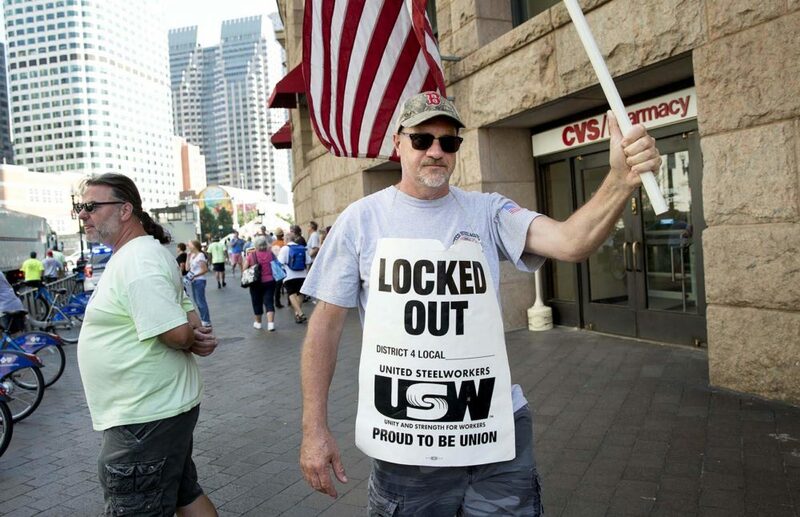 The last time union gas workers in Massachusetts were locked out was a quarter century ago. It lasted 17 weeks. Wednesday is the start of week 23, and National Grid's lockout grinds on. This segment aired on November 21, 2018. 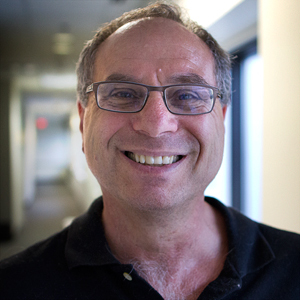 Bruce Gellerman is an award-winning journalist and senior correspondent, frequently covering science, business, technology and the environment.